I got to hang out with these two so many times over the course of the year before their big day! I shot their first engagement session in Laguna Beach, but unfortunately traffic held them back and we missed all of the good sunset shots. We met up for round two of engagement photos at Kimberly Crest in Redlands and got some amazing fairy tale portraits there and in the surrounding Prospect Park. Then I met up with them a week before their wedding for their Thai ceremony at a temple where monks performed their ceremony in front of a small group of family. Then the big day was upon us! I arrived at the Scripps Inn Hotel in La Jolla to start taking Danica's getting ready portraits, while my second shooter Christine met up with Pete and the fellas a block away at the Cuvier Club to do the same. It was a perfect day with temperature in the low 80's and a cool breeze. There wasn't a single cloud in the perfectly blue sky. The ceremony took place at Cuvier Park, which was literally across the street from Scripps Inn. The ceremony was short and sweet, and the highlight for me was when Danica told Pete in her vows that she would always watch Star Wars with him whenever he wanted. We took some awesome bridal party shots on the cliffs and bluffs right behind the ceremony site, and the best man Jason Robbins became my dress throwing assistant to add some flair to the romantic photos. From there it was on to dinner and dancing at the Cuvier club. It was a small and intimate crowd of close family and friends, and the meal was an amazing combination of fish and prime rib with a special sauce on top of a bed of mashed potatoes and steamed veggies. There were also some amazing chicken and pesto sliders during cocktail hour that I had to sample! I snuck Pete and Danica away for a few sunset photos on the rocks, and ended up getting them both wet from the splash of a huge rogue wave! It was so much fun, and they were great sports about it. After a quick makeup and hair touch-up we were back to dancing and entertainment at the Cuvier Club. The grand exit was with glow-sticks, and the couple drove off in a Mustang (which had cans hanging from the back, but they had to be tucked away because of a noise ordinance....too bad). All in all it was a perfect day and I love how the pictures came out. It was my first opportunity to test out my new 5dMarkIV camera, and it performed above and beyond my expectations. 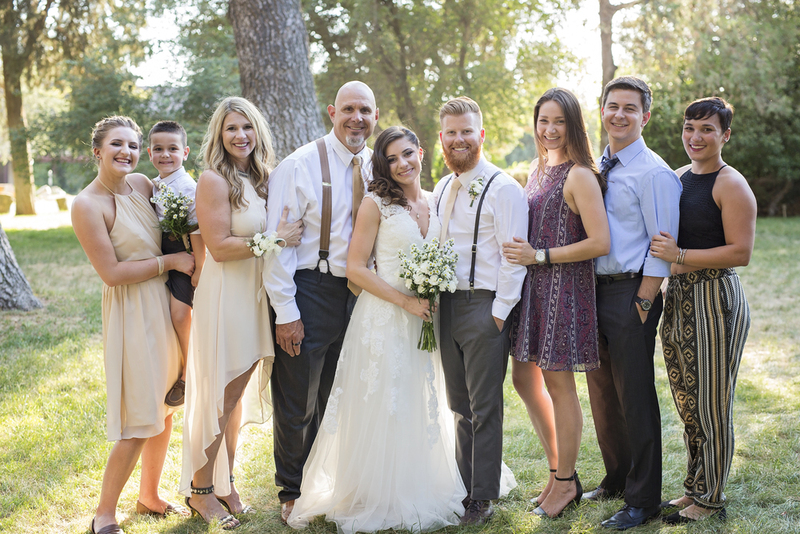 Congrats to Pete and Danica...here is a first look at the big day!! 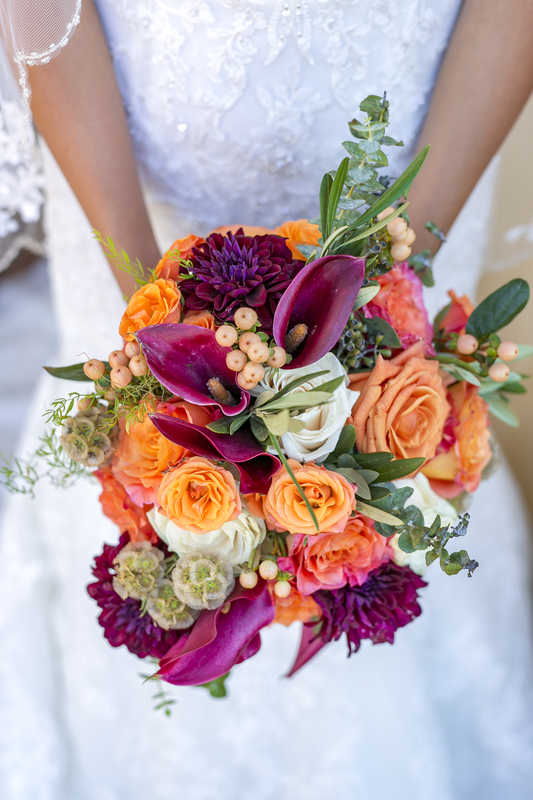 Michelle and Mike's Ponte Winery Wedding! I met Michelle and Mike for the first time on an extremely hot day at the LA Arboretum for their engagement session. We were in a drought here in California so the classic photo spot featuring their waterfall was completely dry and not working. We made the best of the day, getting some really fantastic shots with the ample gardens and foliage in the area...but man was it hot! 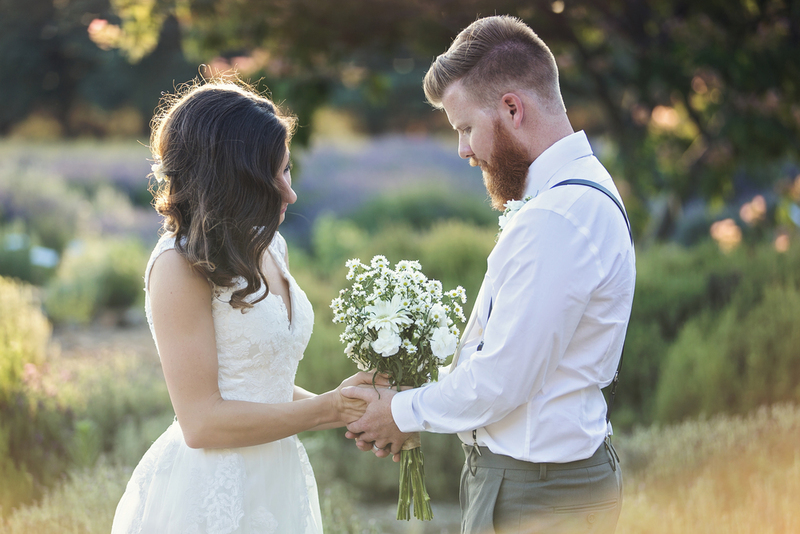 Fast forward to their wedding on June 4th, 2016- which just happened to be the hottest day of the year so far here in California. Not sure what it is with these two, but I'm referring to them as the hot couple from now on! 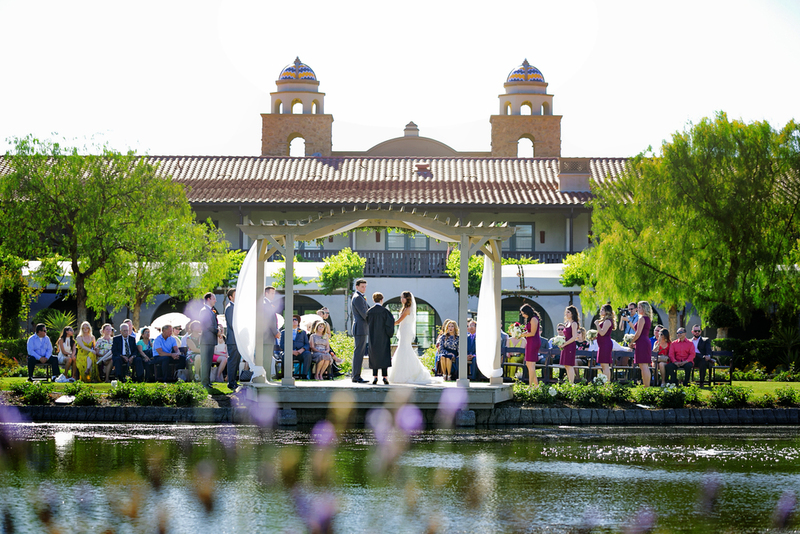 Temecula is always a gorgeous place to shoot, and I love Ponte Winery. It was 95 degrees outside and I was trying to keep the bride in the shade and in her air conditioned room as much as possible for the getting ready portraits. There was a huge fire on the 15 freeway which brought it to a slow crawl, and as such the minister was about an hour late. The coordinator and I made the best of the situation, and moved around the photography schedule to get as much done as possible. Cocktail hour was even moved up to before the ceremony, something I've never seen done before. There is no shade on the lake for that time of day, so we shot the wedding ceremony in full sun. 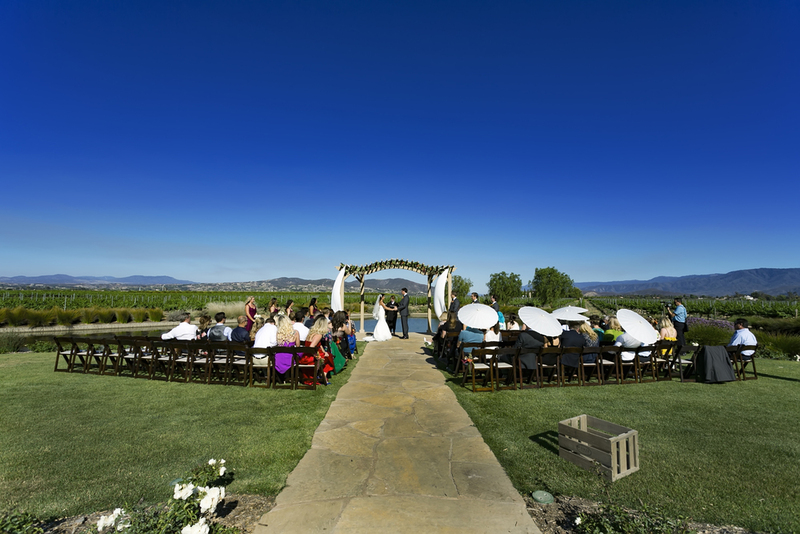 The disadvantage is the bride and groom get sweaty, but the good thing is you can shoot and see all of the colors of the sky, lake, and vineyard using the sun as your main light. Michelle and Mike were both so easy going and so much fun to be around the entire day. 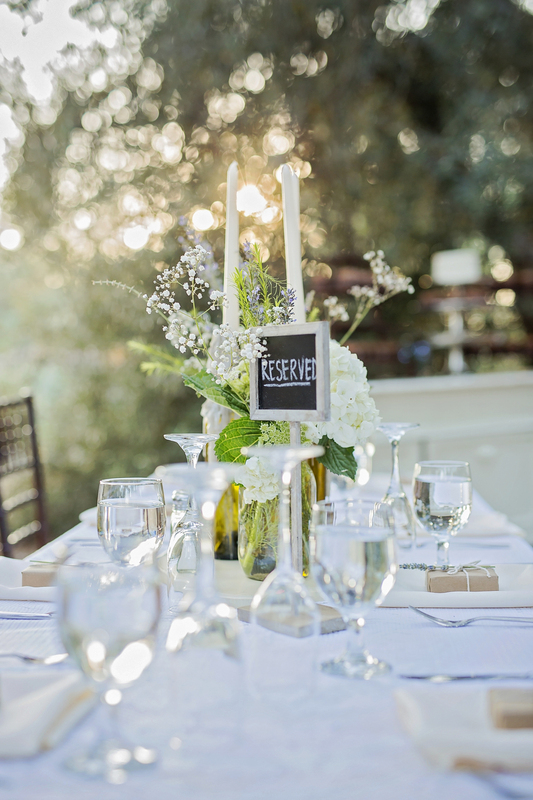 Both of them love to read and even had the Harry Potter books as centerpieces for the reception tables. I remember suggesting some books to them during our engagement session (the Red Rising series), and we discussed how cool they were since they took my advice and checked them out. Mike was definitely the emotional one on both sides of the spectrum. 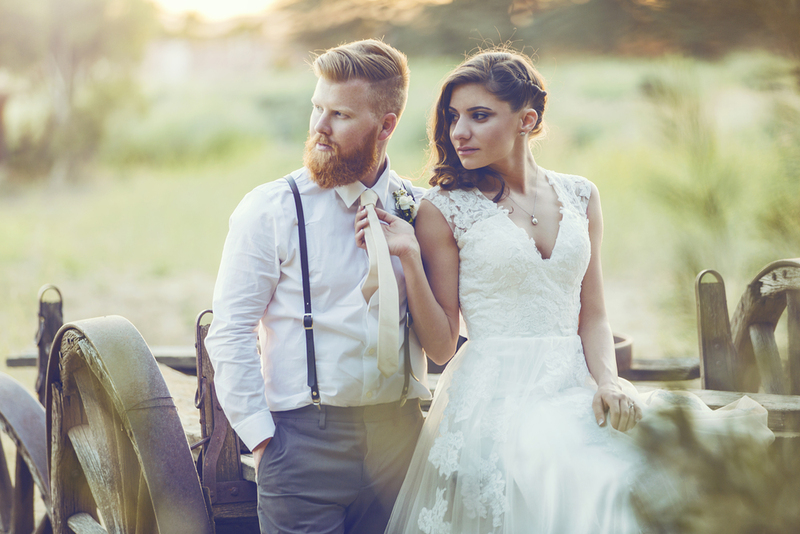 He was smiling from ear to ear and laughing all day long, and then he shed tears as Michelle walked down the aisle with her Father. Michelle was a complete ham, and took every opportunity to look at my camera and make a silly face or pose for me throughout the day. Even with the late start, we were able to make up the time during the reception, and got right back on schedule with the festivities. I then stole Mike and Michelle out of their dancing so that I could grab some epic sunset romantic shots around the vineyards and lake where they were married. Those are always my favorite pictures of the day, and the ones I captured of Mike and Michelle are my favorites ever snapped at Ponte (and I have shot there a lot!). 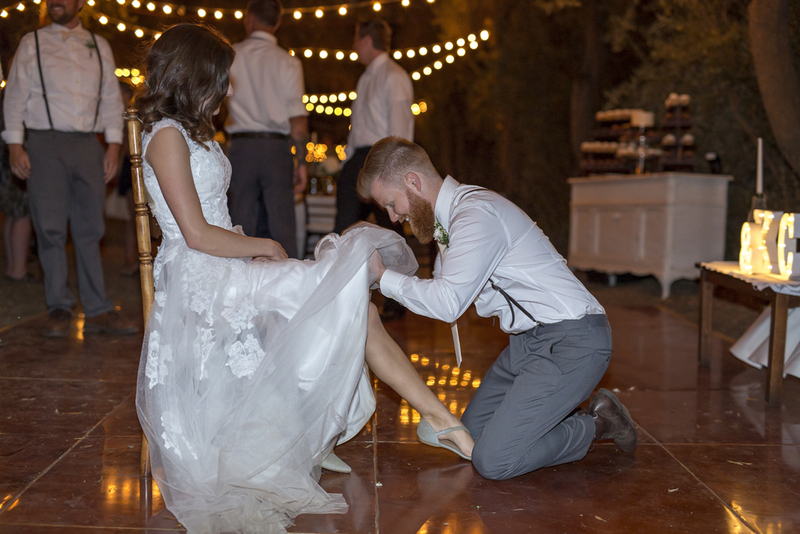 After my night was over I said goodbye to the happy couple and instantly came home to edit a first look for the night, and then the following day I began editing a preview of some of my favorite pics from their day because I just couldn't wait to post them. 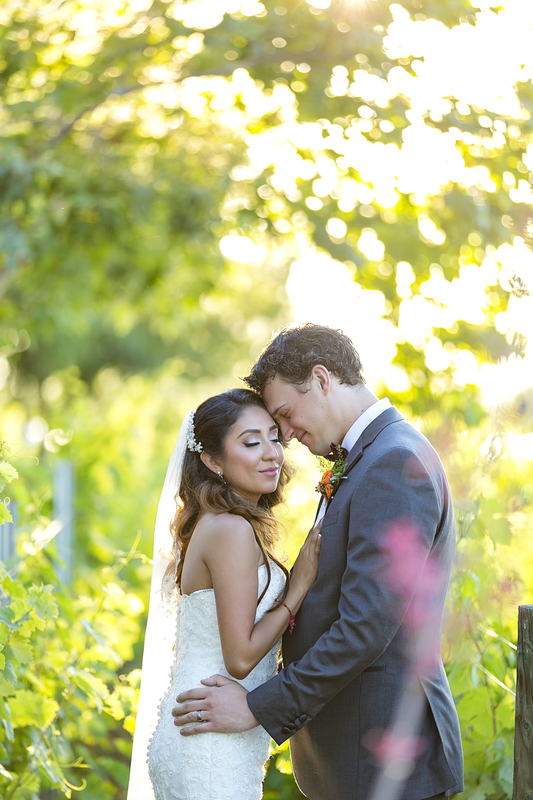 So, without further delay I give you Michelle and Mike's preview! Craig and Kayla first stepped in front of my camera at a cabin in the mountains on the way to Big Bear and I had an absolute blast taking their engagement photos. I worked up a sweat trying to clear debris off of a large tree that had fallen across a stream, only to fall off of it myself in the process (one of the many hazards of being a photographer). Craig and I instantly hit it off with our shared love of super hero movies and Kayla was very patient with our nerdiness. The sun was setting perfectly behind the trees for our shoot and I took some of my favorite engagement shots ever that day. I had never shot a wedding yet at their chosen venue, The Highland Springs Resort, as of the time they booked me. I had attended the Lavender Festival on the same grounds and was excited to shoot photos on the gorgeous fields that it had to offer. Having an opportunity to shoot at this amazing outdoor venue at sunset for a wedding was something I was looking forward to for months, so I couldn't wait for their big day to arrive. Craig and I even bumped into each other at Chipotle while we were both grabbing lunch one day, and he was just as pumped up for the wedding pics (if not more) than I was. It was 92 degrees outside when I showed up at the groom's room at the Highland Springs Resort at 3:30pm on the Fourth of July. The guys had a full size billiards table in their room and were busy getting into their suits (sans jackets, probably because of the heat) when I walked in. Craig was shirtless and I couldn't resist getting him to pose laying across the pool table for an improvised "dude-doir" shoot to show Kayla later. He is a great sport and always goes with my goofy ideas (I even had him lift a large log and pose with it on his shoulder next to Kayla during the engagement shoot). 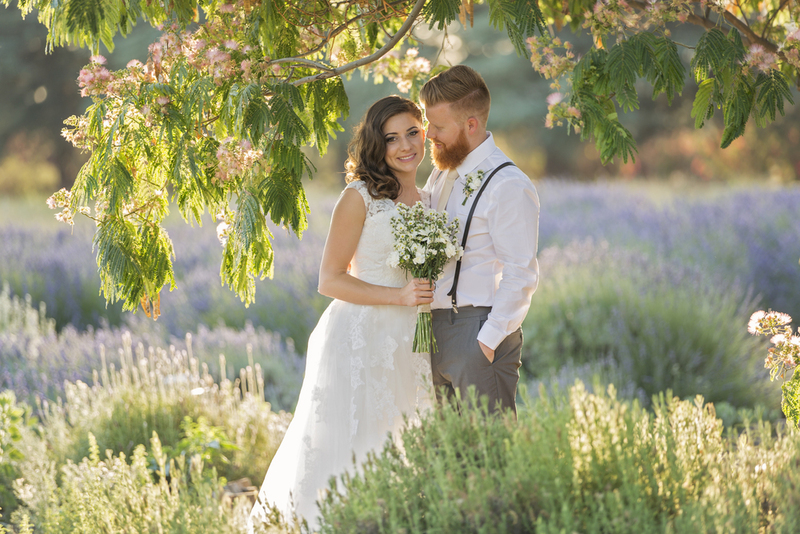 The Highland Springs Resort has lots of tall trees and shade everywhere, so luckily we were able to keep everyone from melting during our pre-ceremony bridesmaid and groomsmen pictures. 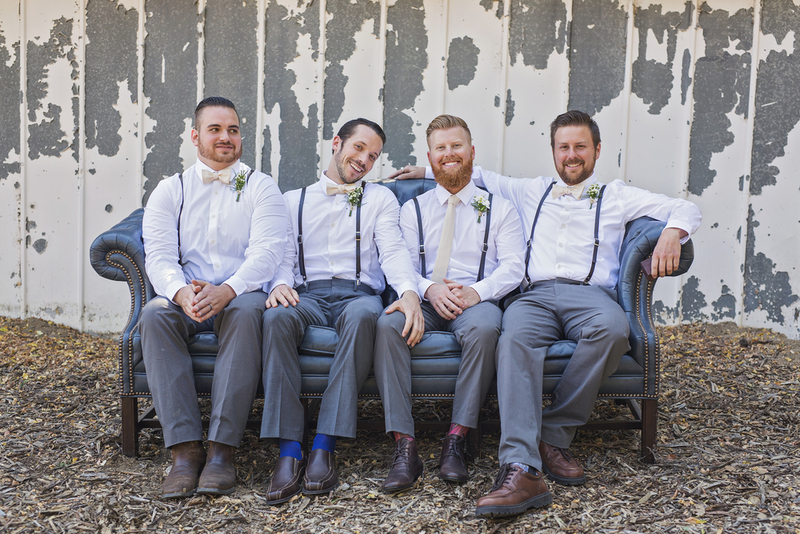 The junior groomsmen were a big help in lifting vintage couches to and from the various locations we were taking photos at, even in the extreme heat, so kudos to them. The ceremony site was in front of the world's second largest Oak tree (1,100 years old), which I'm sure is home to all sorts of fairies, elves, and other mystical woodland creatures. 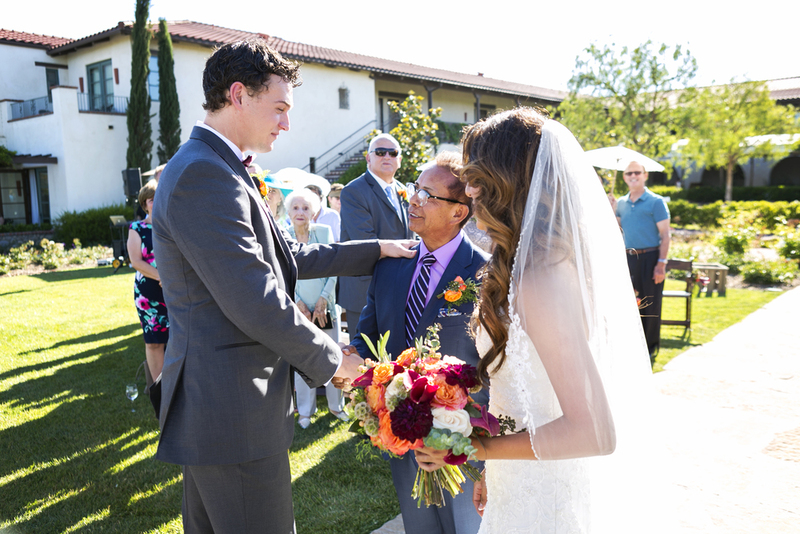 The sky was pure blue with only a few clouds by the horizon as Kayla's father escorted her down the aisle. You could see the emotion on his face as he handed her off to Craig, who was patiently waiting under the leaves of the massive old Oak. 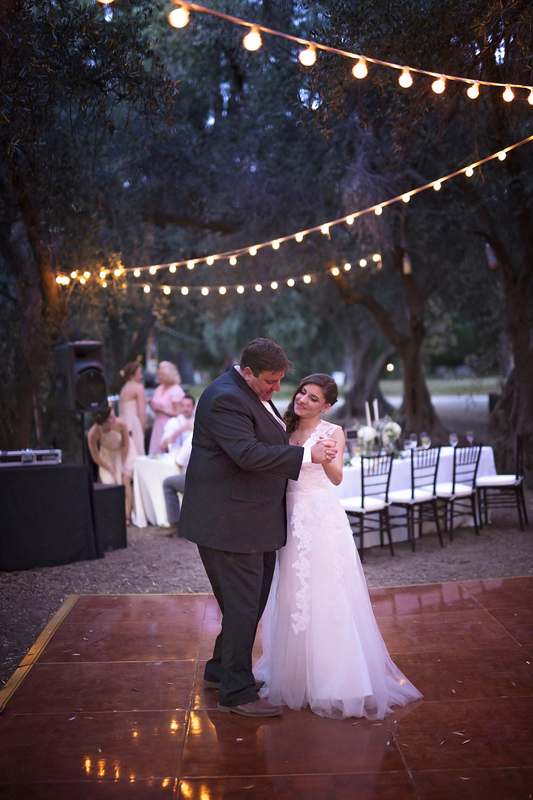 It was a short and sweet ceremony, and Kayla's step-father did a great job presiding over the event as tears were shed, personal vows were shared, and scriptures were read. 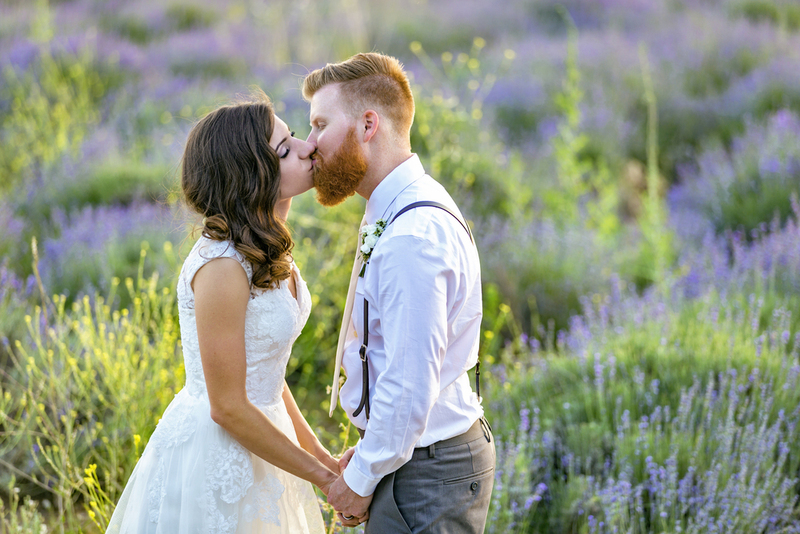 After Craig and Kayla sealed the moment with a kiss, they were showered with lavender seeds from the crowd as the made their way back down the aisle as husband and wife. After family pictures I grabbed the bridal party to head into the lavender fields for some shots in its rolling sea of purple as the sun began to set. Meanwhile, the guest were enjoying cocktail hour in the trees nestled only a few feet from the fields. 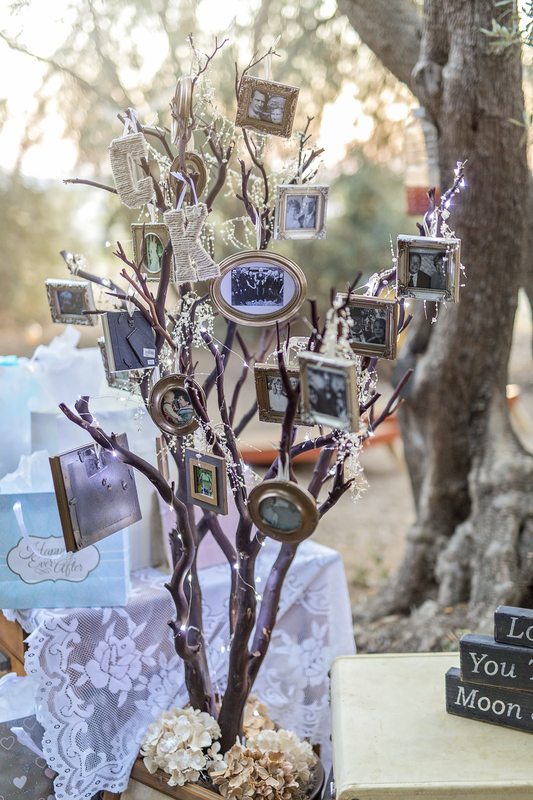 Under the large canopy of olive trees, guests were able to play oversized versions of Jenga and Chess along with bean-bag toss, and there was a photobooth with props printing out their silly photos on the spot. There was also lots of old vintage furniture to take pictures on, and the whole setup was lit by strung up lights and candles. It really looked and felt like a step back in time. One of the highlights of the evening was when Craig sang to Kayla as her father danced with her, which even though he is an admittedly horrible singer still left every eye in the place wet (including mine). Kayla threw her bouquet into a string of lights, and one of the girls still snagged it without letting it hit the ground. I was able to steal Craig and Kayla away before they could touch their dinner in order to take the golden light pictures that you will see below. The location and lighting was more than I could've hoped for, and I definitely took advantage of as much time as I could with their romantic photos without putting the evening's schedule behind too much. Kayla's flower girl, her great-grandmother, also came out to the dance floor during Sir-Mix-A-Lot's "I like big butts," which got all the bridesmaids cheering. It wouldn't be a true Fourth of July without fireworks, and we were treated to a couple of shows off in the distance during the reception. 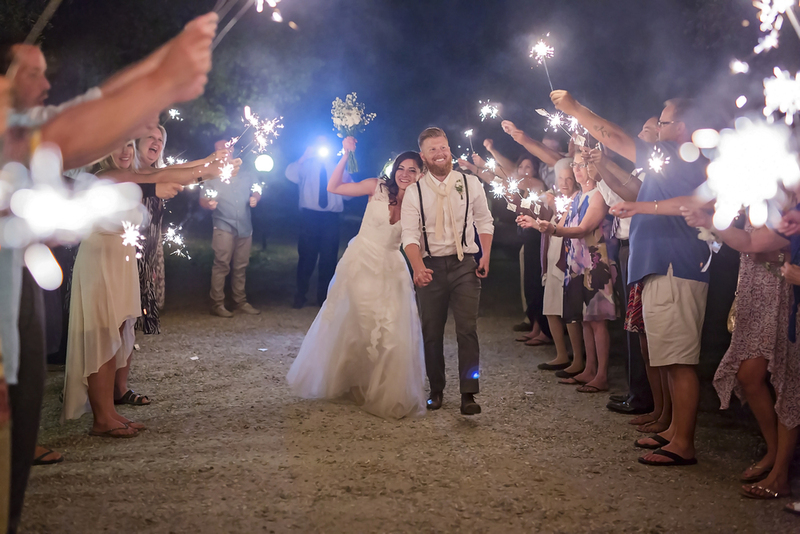 Craig and Kayla also had a giant sendoff between two rows of sparklers held up by all of their loved ones. 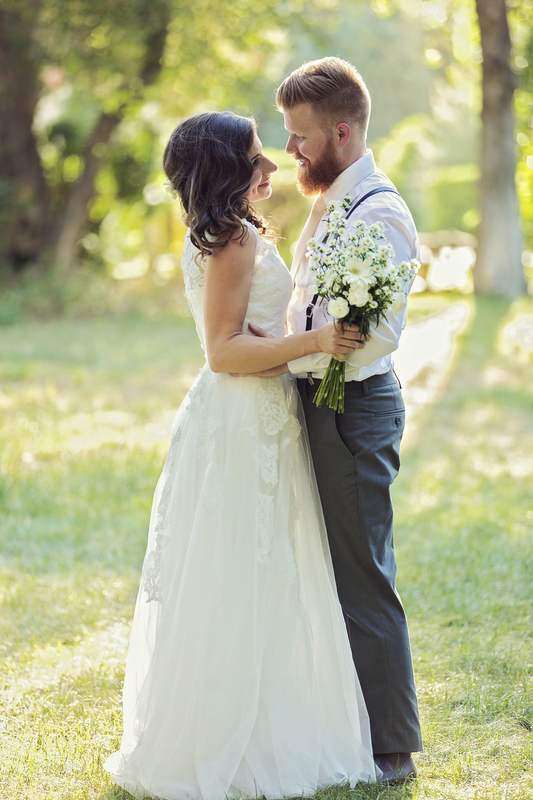 It was an amazing day and I took some of my favorite wedding photos to date. I wish the best to Kayla and Craig in their life together and I better get the phone call to shoot their future newborn children wearing super hero outfits!